My good friends have a herd of beautiful white newly shorn Angora goats AND big bags full of mohair. 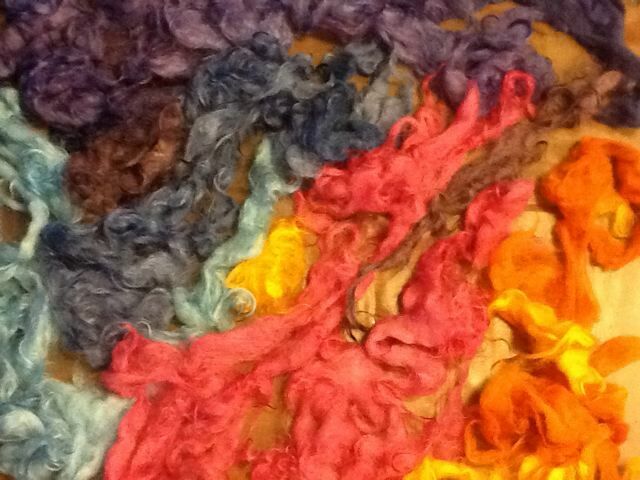 Looking at those silky curls, I immediately saw great nuno felting possibilities. 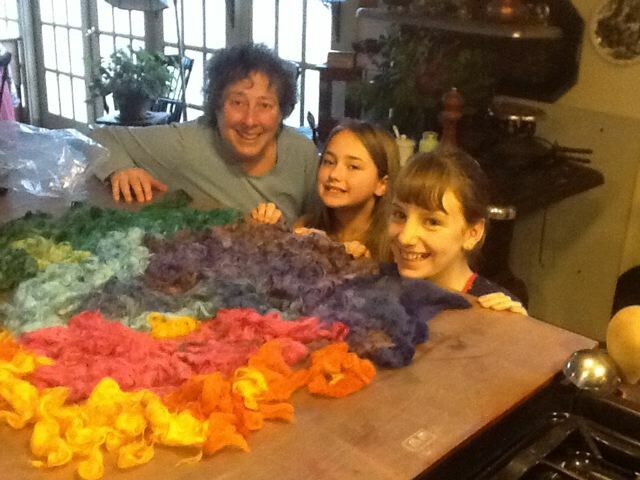 So this past weekend my friend Kris and I and my longtime Little Sister, Haley (through the Big Brothers Big Sisters program) and a young member of the goat owning family, Delaney, got together and dyed mohair. Lots of mohair. 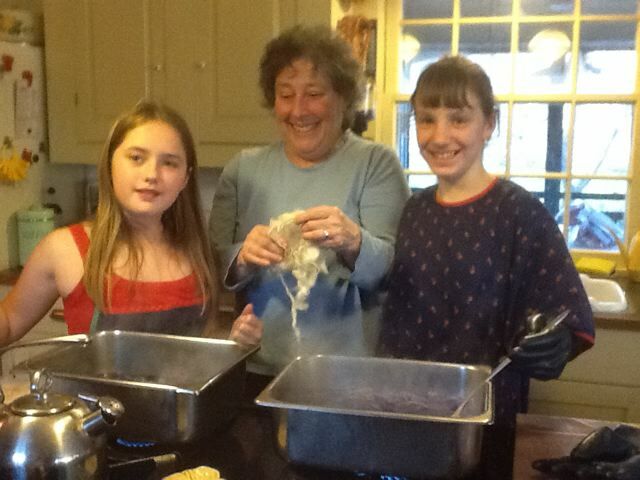 The girls picked the colors, mixed the dyes and stirred in the locks to watch the magical tranformations in the dye pots. The results were stunningly rich colors. The mohair dried quickly next to my wood stove and maintained its brilliant color. Next weekend: We teach the girls to make nuno felt! This entry was posted on December 6, 2011 at 7:09 pm and is filed under Dyeing, Process. You can follow any responses to this entry through the RSS 2.0 feed. You can leave a response, or trackback from your own site.